There are 120 posts in this topic. You are on page 1 of 3. Quick question for the experts out there. 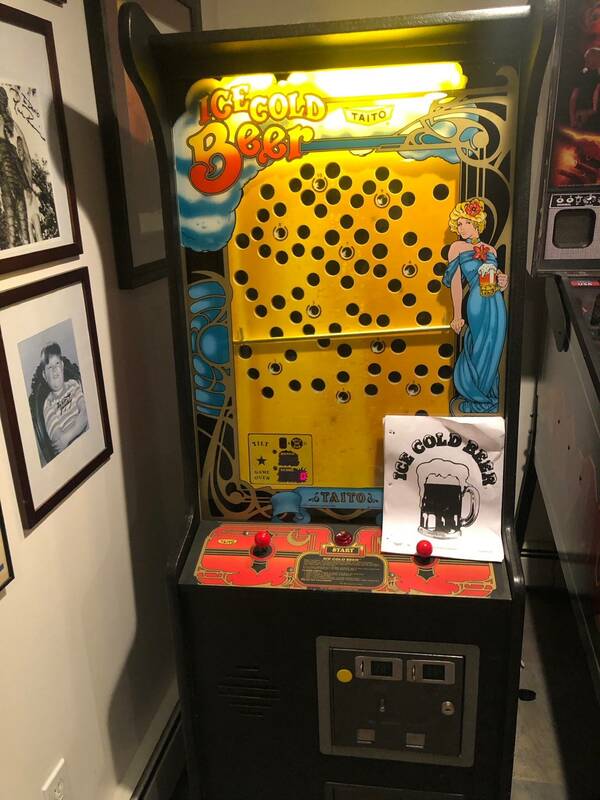 I have been looking to buy an Ice Cold Beer for a while and have finally found one at an arcade that the owner is interested in selling but he wants $3,500 for it. 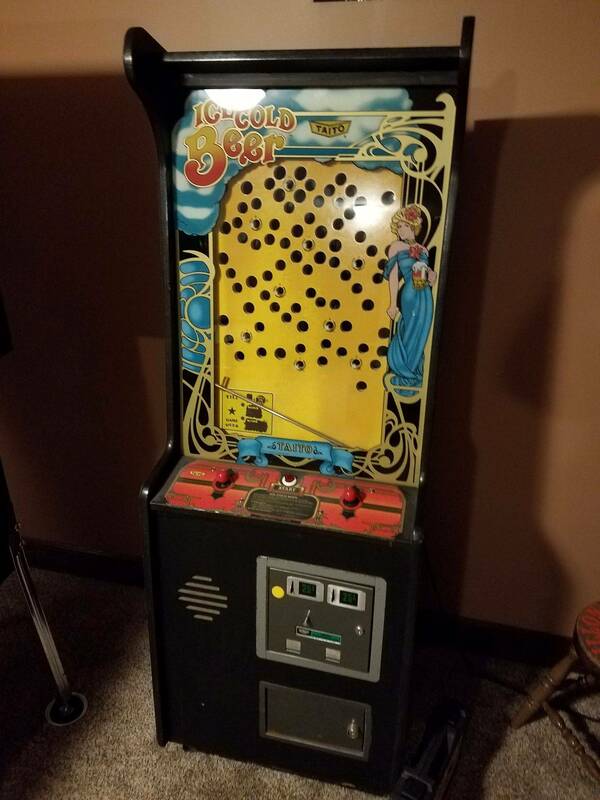 The machine is in good shape and works well but I know it is not worth that much but they are so hard to find that it caught my interest. What do you all think? Should I pull the trigger and just do it knowing it is over priced or keep waiting until one pops up for a lot cheaper? Thanks Coz, that is how I feel. I was saving up to get a Monster Bash for the wife but it is hard to pass the first chance I have to buy Ice Cold Beer since I started looking 4 or 5 months ago. I think if I can get them to come down to $3000, im going to do it. Do it! It's a super fun game. 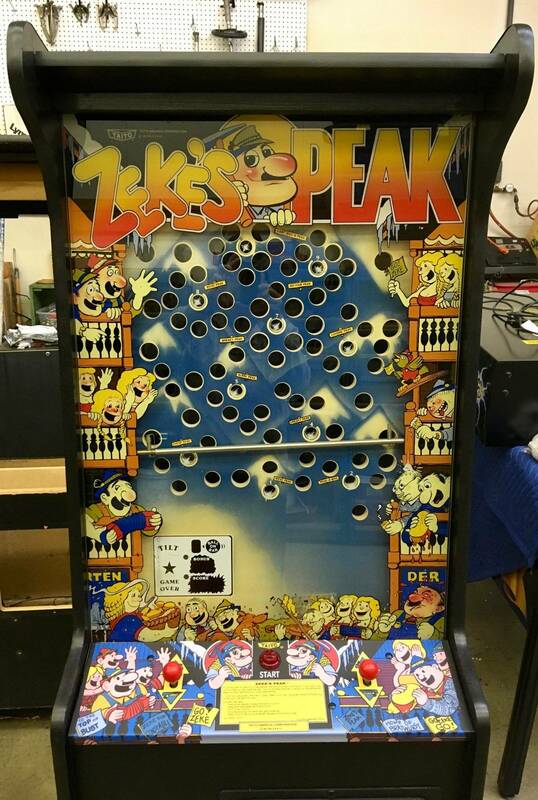 There's a freeplay rom that was just released to it that you can find over on KLOV that is a must have. 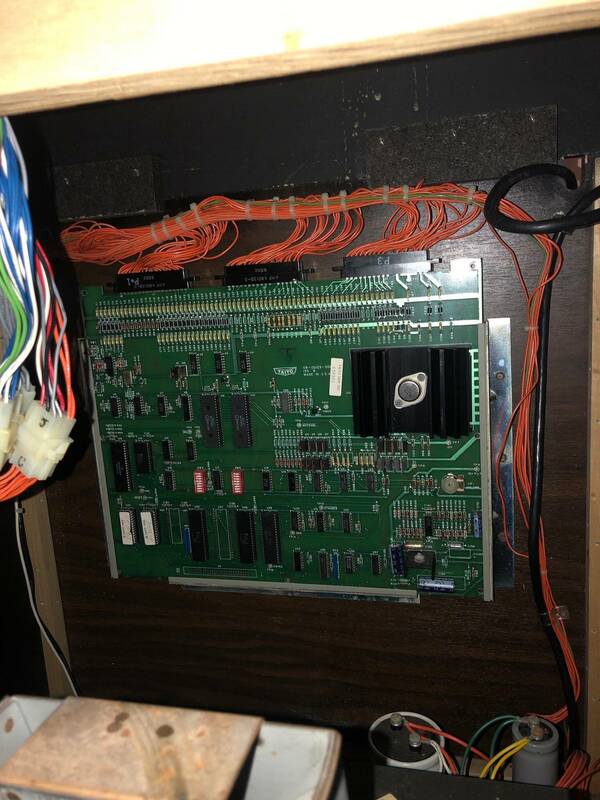 He just added back attract mode and the button blinks so you don't need to install a button or use coins. Good grief. 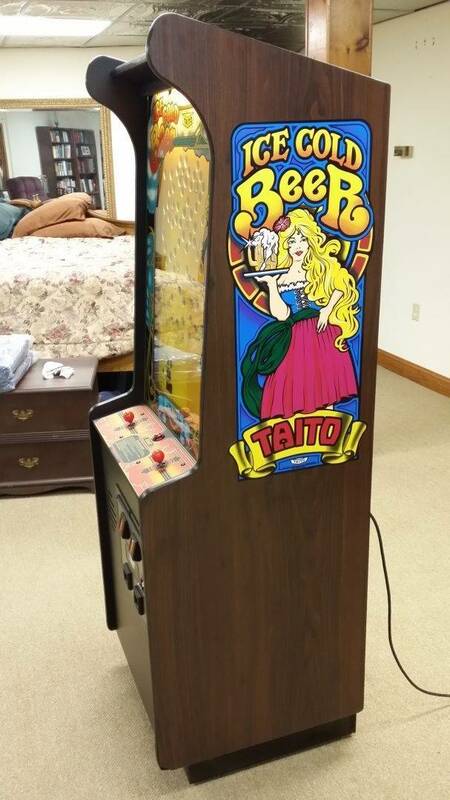 One of these came up in our local classifieds a few years ago for $300 and sat for 2 weeks! It's fun but it's not $3500 worth of fun. Not when you could buy a lot of pins for that price. $3k is alot for that game. It's fun for a while and your guest's will really like it but soon enough it will go the same route as a foosball table and never get turned on or played. 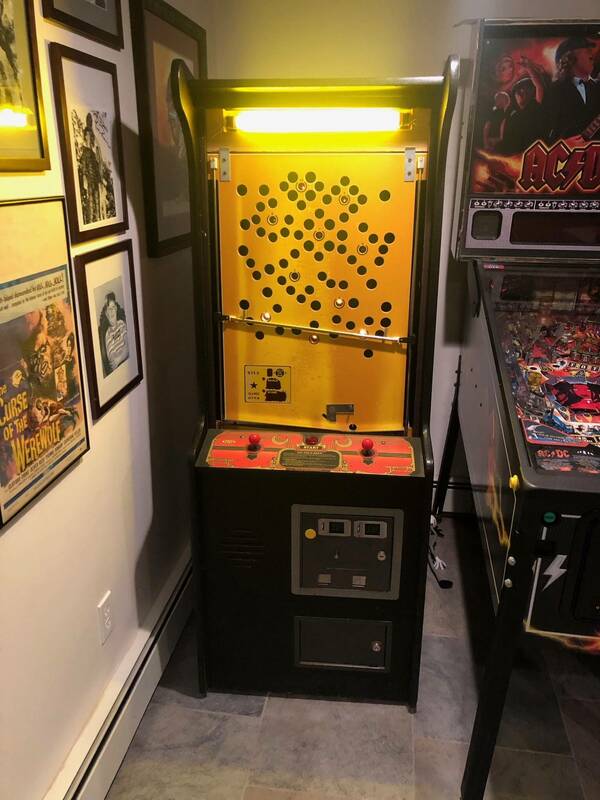 I have one and ended up lending it to a friend since i needed the space and no one was playing it any more. Id say hold off and wait for another to come around at a better price. Good grief. 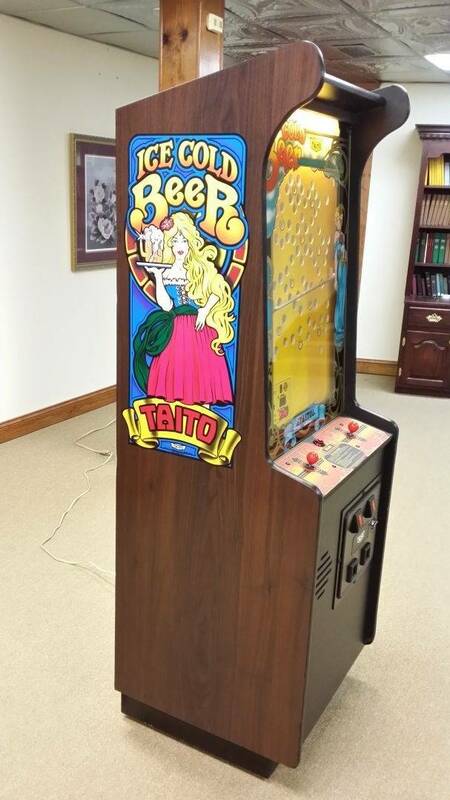 One of these came up in our local classifieds a few years ago for $300 and sat for 2 weeks! Would you be interested in selling yours then if you do not play it? Is this newer than the rom that has been out for a couple years? Do you have a link? Thanks. I bought one about a year ago for $1300 and felt like I overpaid for the enjoyment I ended up getting out of the game. It's fun for a couple months until you master it. Then it just sits around not getting played. I sold mine about 4 months after I bought it and don't miss it at all. 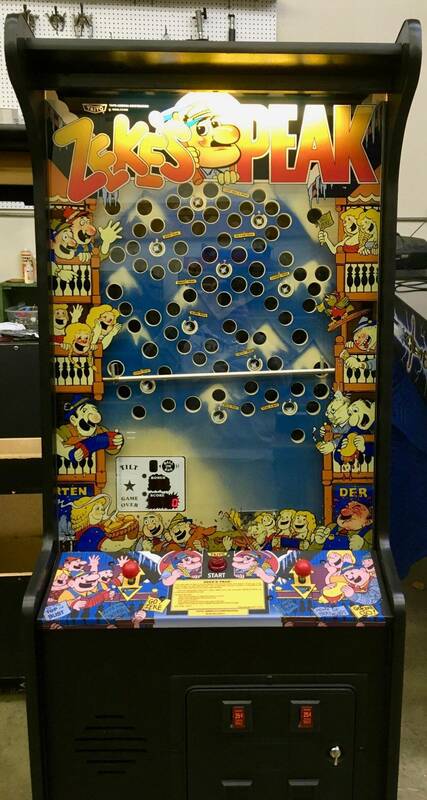 Pins are way more fun. $3500 is ludicrous when you can get a game like Shadow for that price! Seems like a better deal would come up. A year ago I had mine posted for 2k and no one wanted it. Everyone says how desirable it is, but then it doesn't sell for 2k? It is fun, but not fun enough to keep if space is limited. I sold it to a friend for $1,500. If you buy for $3,500, it's your call, but I have to imagine a better price will come up if you're patient. Wasn't there a newer version of this game?? Wish you would have caught me 2 weeks ago. I just put it on route at a friends brewery and it is killing it. It's out earning my pins 3-1 right now. Yes, the ICE ICB version. 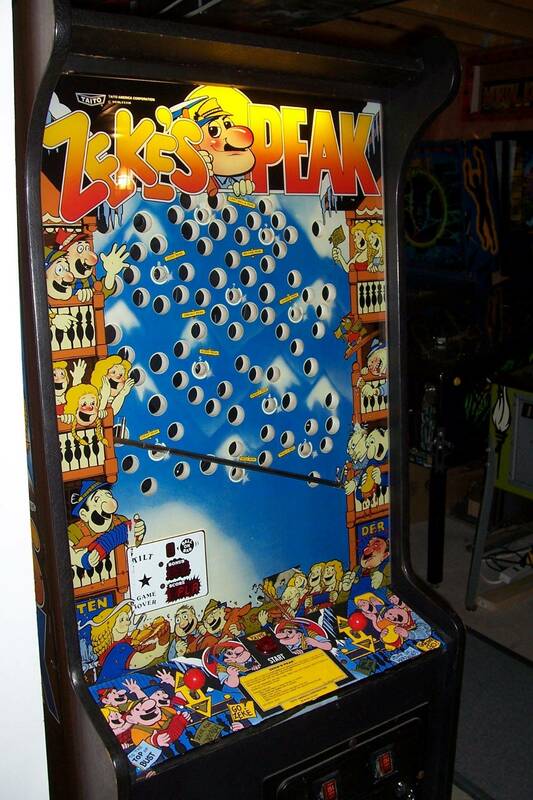 I used to have both and sold the older Taito version. 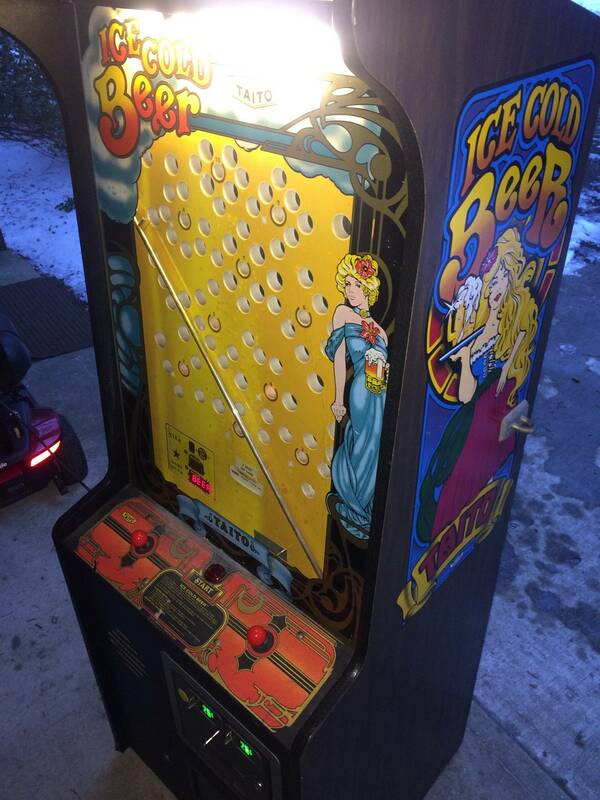 The ICE version has 2 more holes, is more challenging, and playes smoother due to better pulley and switch system. The art is better on the original, but not much else. The extra 2 holes make it much more fun in the long term IMHO. All said I still would not pay over 1500-1700 for one currently. wait a sec... you have pins and an ICB in antartica? ! ? I don't have the link but it's on KLOV. It is newer because it has the attract mode and blinks the button. The older version didn't have attract mode. That seems really high, at least my my area. I had one offered to me at $1400 last year and one came up on the Ohio FB group around 2K not too long ago. I actually would love one of these but as some others have said just can't see spending that much on that type of game. I can get alot of pin for that money. That said, if I had extra cash laying around I'd have jumped at the $1400. I don't have the link but it's on KLOV. 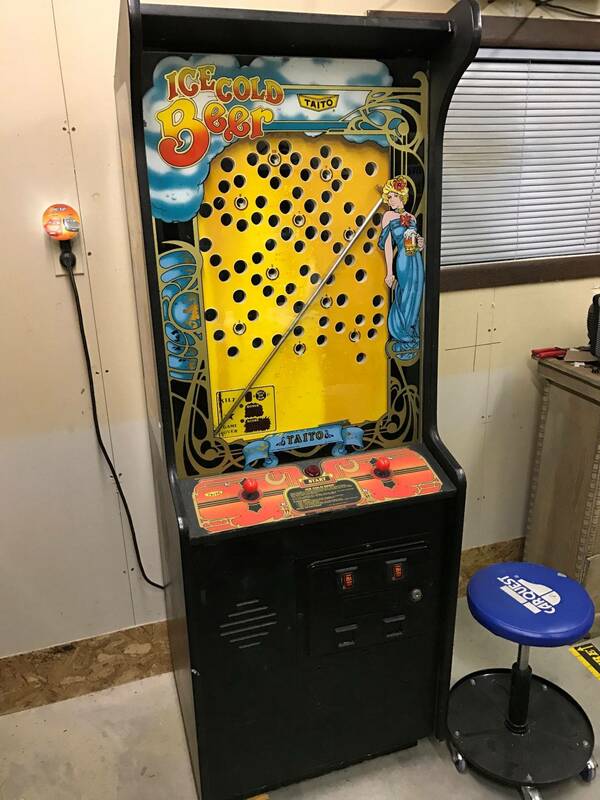 I would like one, but it's now beyond the price I'm willing to play. 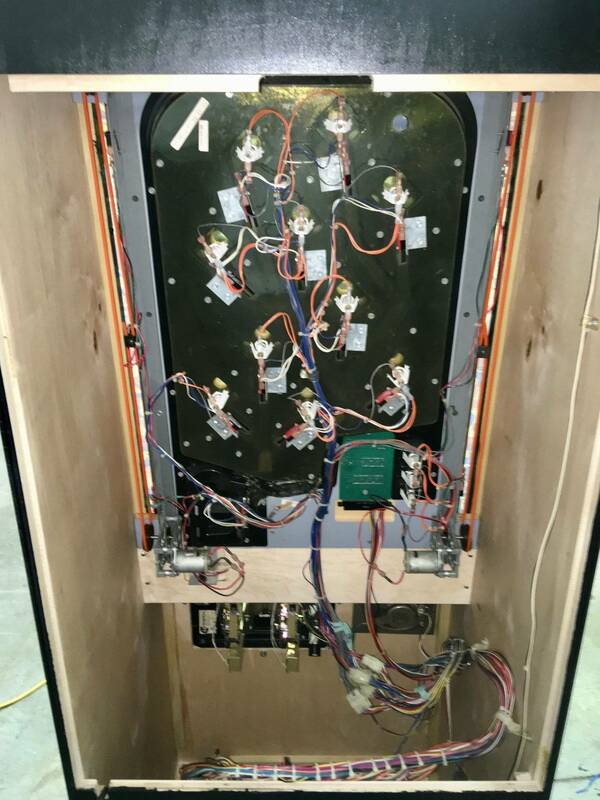 For awhile there was a group of pinsiders interested in building a new version from scratch, but that seems to have been put on hold. Seems steep to me, but you might have to wait a while to find one cheaper (and the longer you wait the more the rest will go up in price). It's a great party game even if it gets boring once you master it. Works great, I didn't even realize the attract mode was missing! That's a nice unit you got there! I don't think it's done inflating either. In the last 5 years they have been on a seriously upward trajectory. A decent one went off on ebay for $2700 a month or two ago. You may tire of it after a few months, but your guests will love it and be pissed if you sell it. It's an incredibly easy game to sell. Desirable and rare enough that most people will have no choice but to pay your price. I had an ICB and the gameplay SUCKED!!! Sold it asap when I could get a WAYYYYY funner game. I sold my fully restored one for $2500 earlier this year. Wow. Looks like I’ll never own one of these. 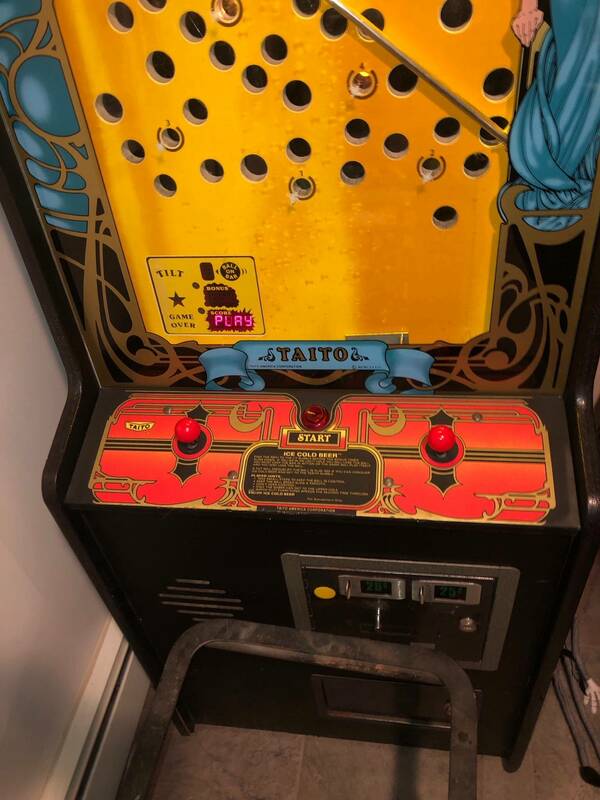 Missed out on Tapper too when it was under 1,000. No worries, if you ever decide to get rid of it, keep me in mind. I'd love a Super Chexx bubble hockey - those are alot of fun! 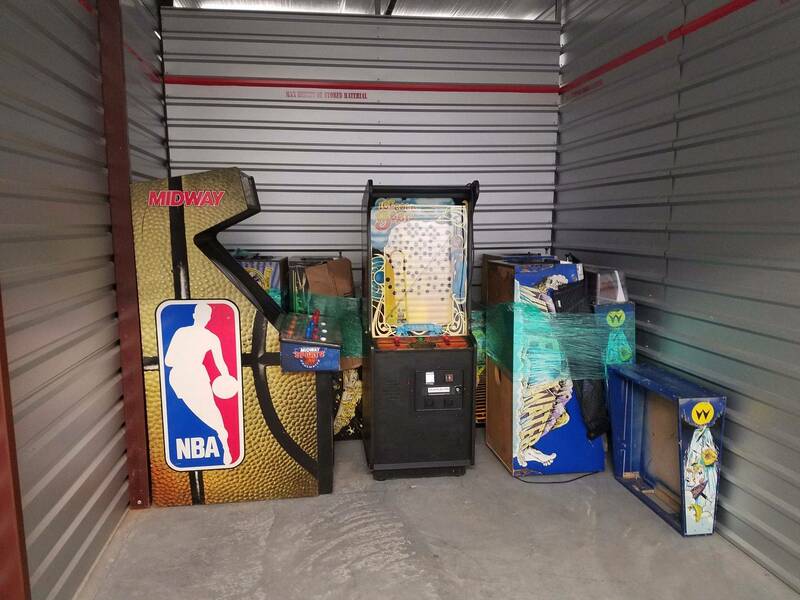 You guys keep saying you can get a lot of pinball for that money, which may be true, if you just want more pinball machines and you aren't into diversity in a game room. 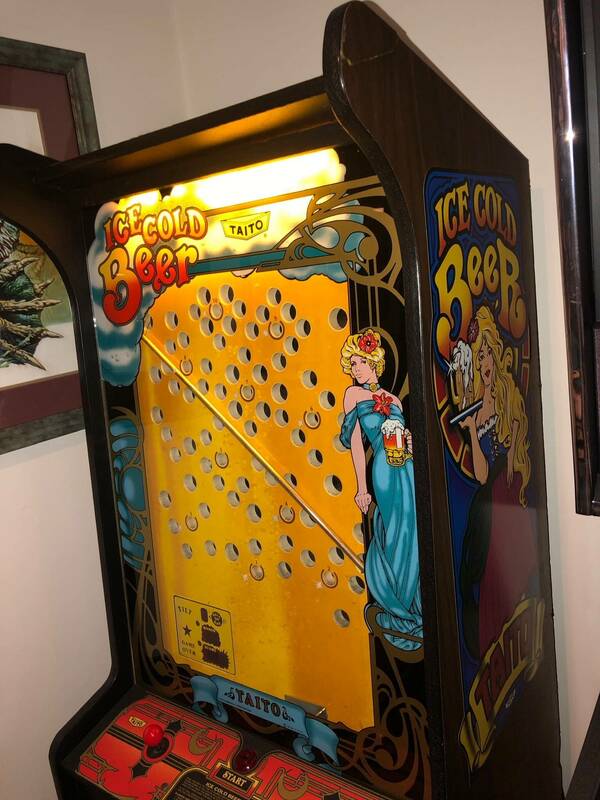 Ice cold beer is one of what has become a list of very few arcade games you just can't duplicate with a multiboard or emulator. 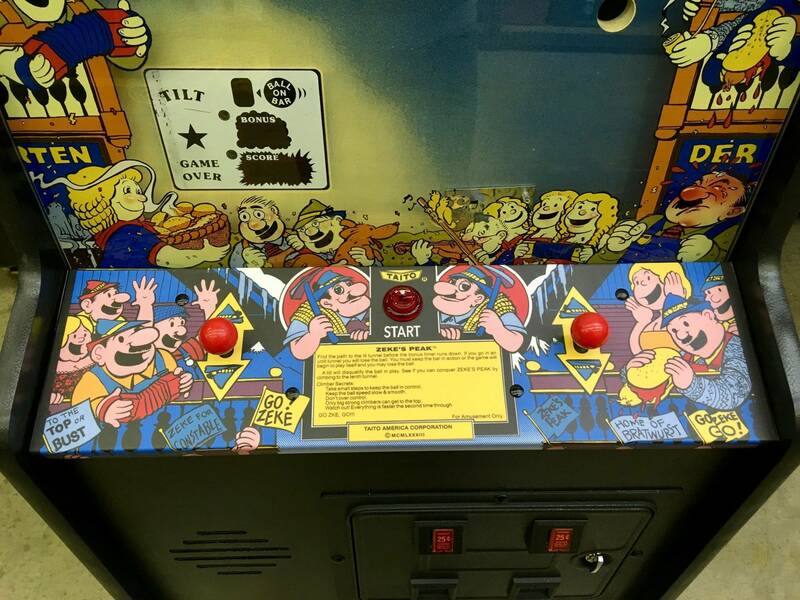 Unique arcade games in general have been on the rise. 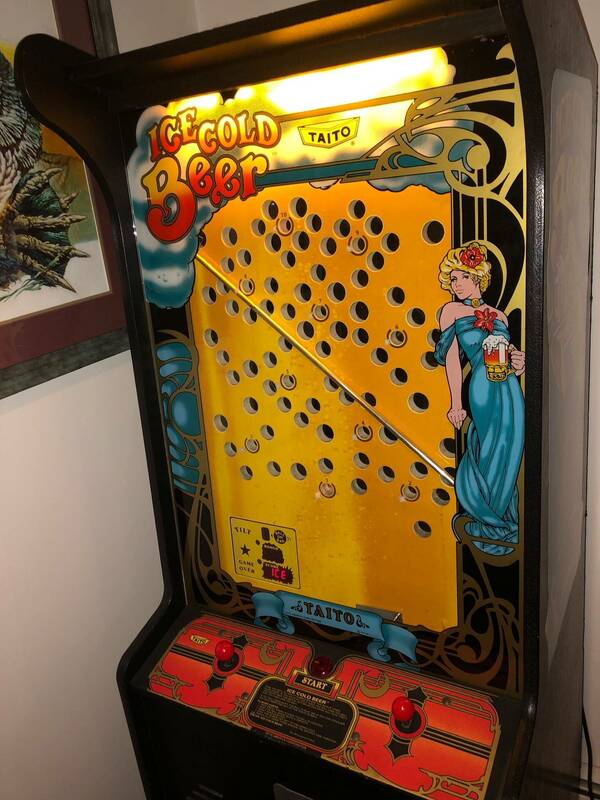 I've had and played quite a few $2000 pins that weren't as much fun as ice cold beer. I won't keep mine forever, but i'm glad to have owned it. For you guys that do own it. It is amazing how much more solid and precise the sticks feel. Takes every ounce of slop out. 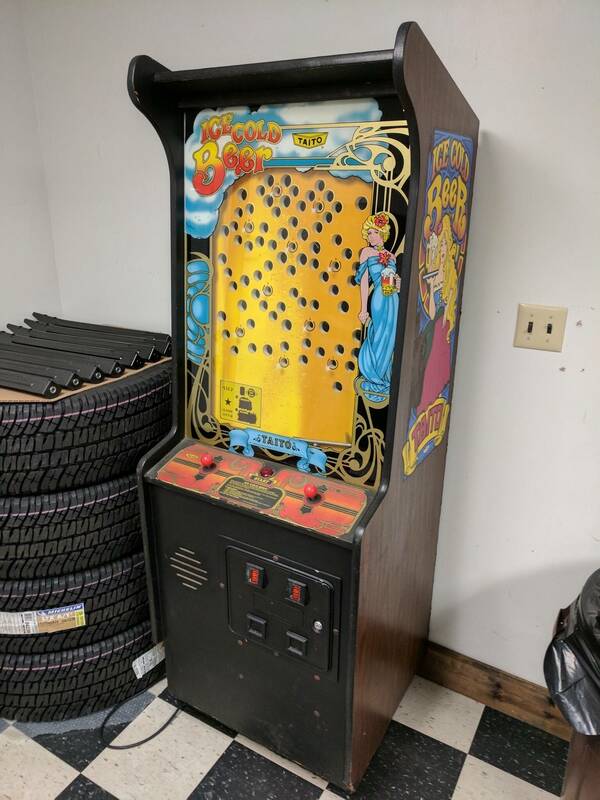 I found mine for $700 in good, not great shape. 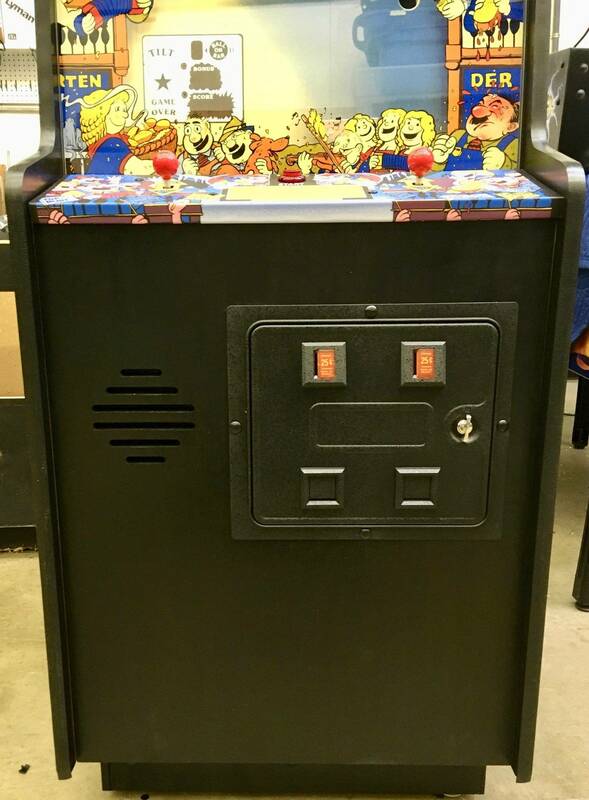 It needed to be cleaned up big time and is now with an arcade fix guy getting tuned up a bit. I'll have $850 into it when I'm finished if I don't put a new glass in it. The glass isn't horrible but not great either. They offer a 21mm and a 19mm version do you recall which one fit your ice cold beer? Did you get the new screw in handles? But so everyone here knows, 21mm, no handles. 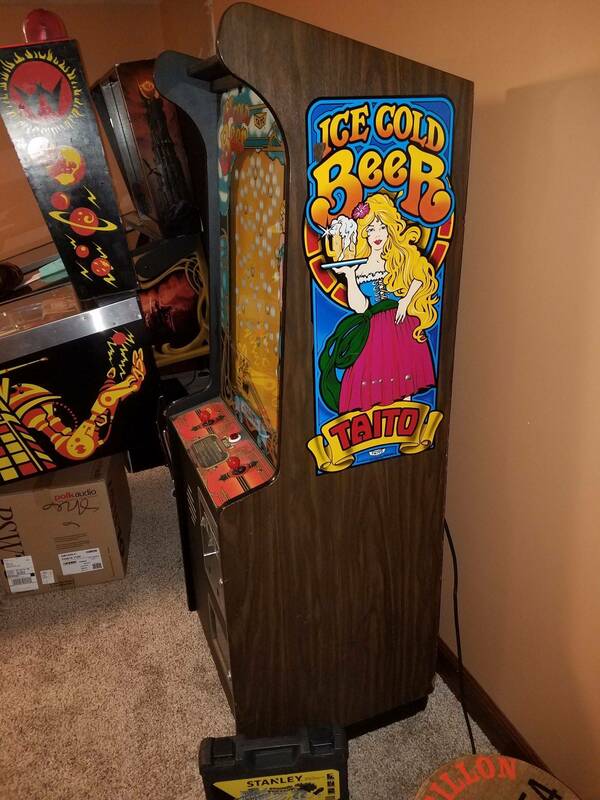 I missed out on one recently for $200 in Oregon. Guy didnt want to ship and dealt with somone local. Awesome find! 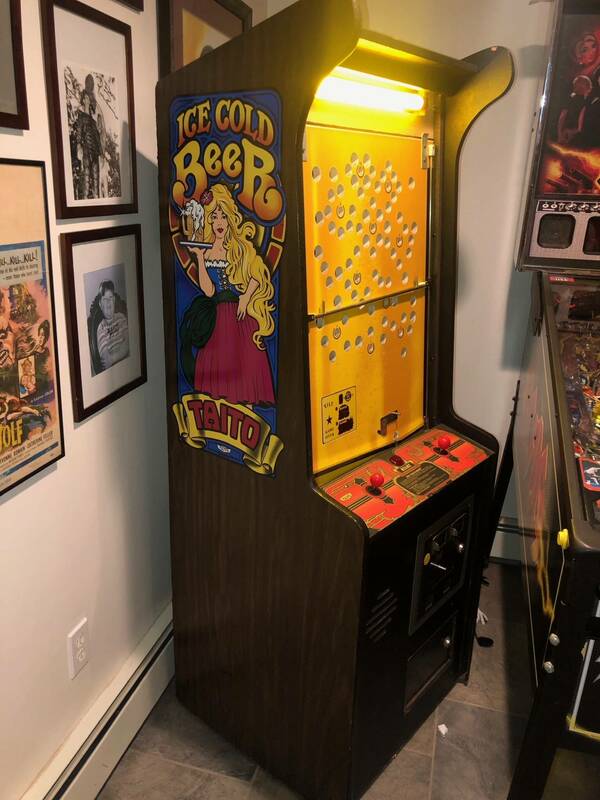 I am still looking to get one, have seen a couple but people are asking 3k+ and all of them need a little bit of electrical work. I am hoping I will find a good one for under 2k that works well. Will wait and see and keep looking. Is that the one that was on eBay for 2200 in Maryland? Nice find. Given current market price I think you did okay at 1750.